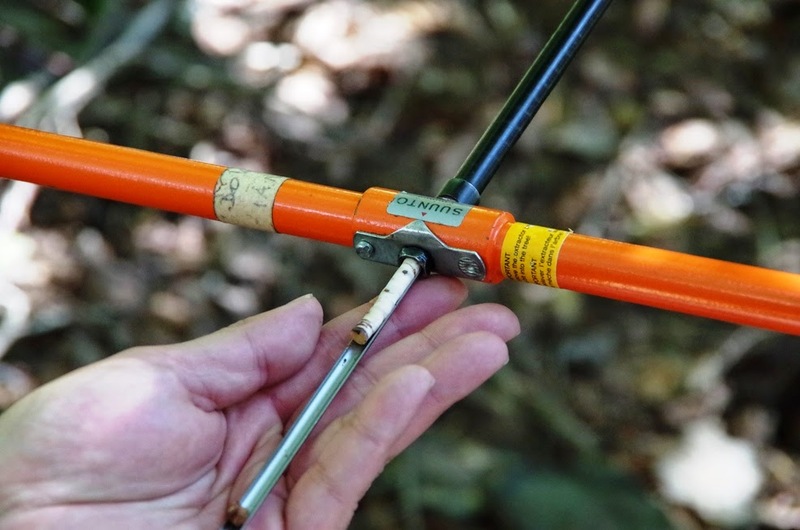 N. Matsuoka (stuff) and Y. Inomata (student, M1) attended the JALPS field meeting, held from October 17 to 19 at Ikawa University Forest, University of Tsukuba. 【更新：10.23】　このFMの様子は，筑波大学農林技術センター演習林ブログ「森の便り」にも掲載されています．ぜひご覧ください．The field meeting was reported also in a blog of the University Forest. 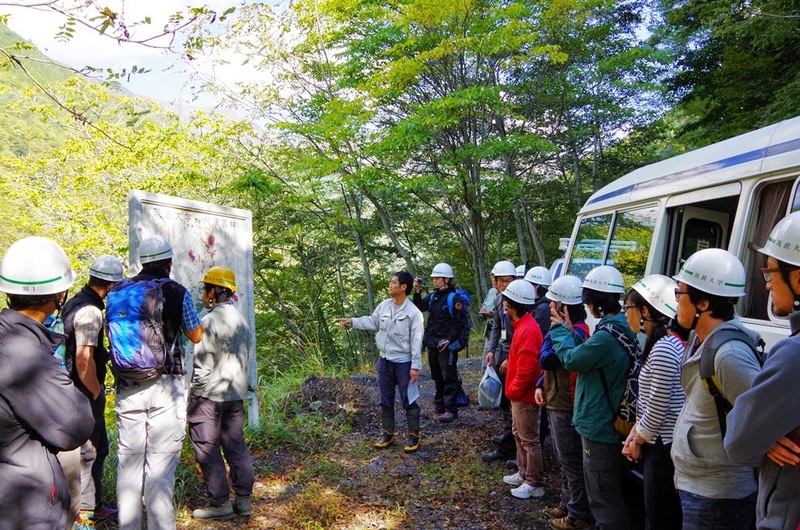 The program started with an international symposium on "Slope dynamics and ecosystem in steep mountains: Comparison between Swiss and Japanese Alps" in the afternoon of the first day. The symposium comprised six talks including special lectures on dendrogeomorphological research given by Prof. Markus Stoffel and Dr. Daniel Trappmann, University of Berne, Switzerland. All talks were followed by stimulating discussion among 22 interdisciplinary scientists and students. On the second day the attendants went on a field trip in the University Forest and the surrounding area. 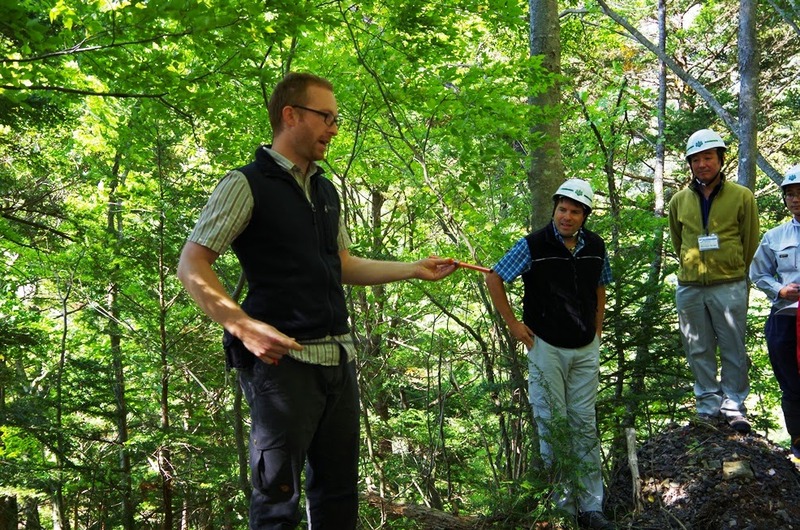 Prof. Stoffel and Dr. Trappmann demonstrated dendrogeomorphological methodology. 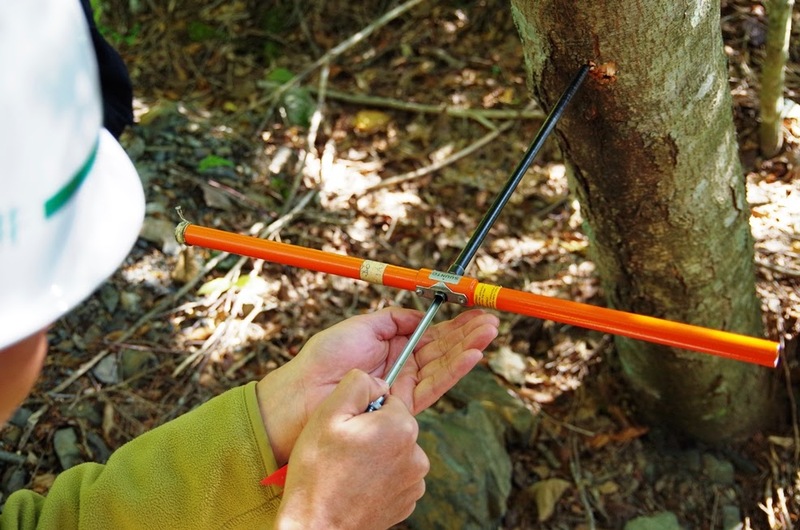 The timing of rock fall events can be reconstructed by analyzing tree rings. 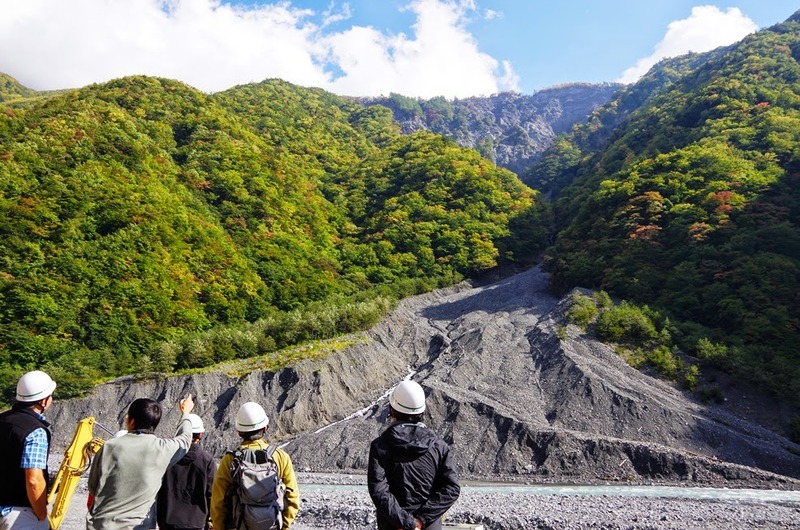 In the afternoon, we visited two large rockslides called "Akakuzure" and "Bochi-nagi", which continue active erosion. Although the prediction of the timing and location of mass movements is difficult because a number of factors and triggers are involved, we have learned a number of approaches to tackle difficult problems during the meeting. The last picture was taken in dinner time. 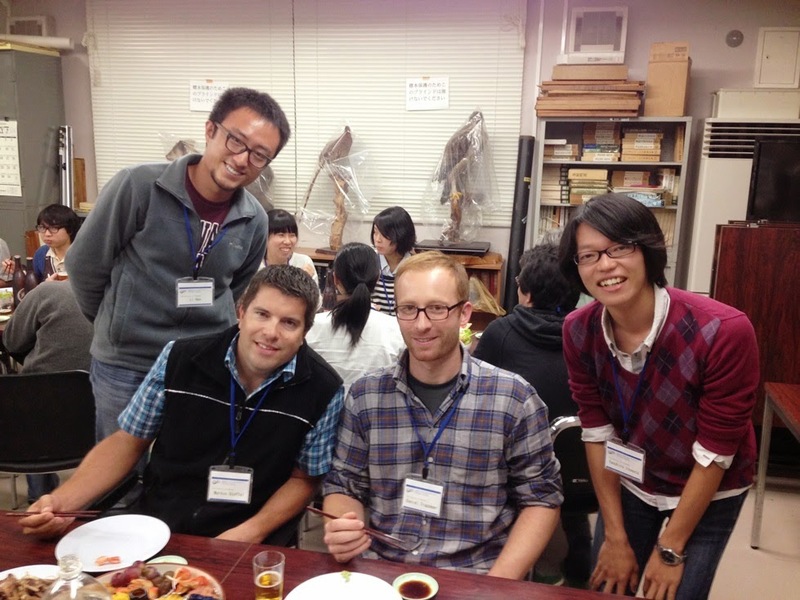 Prof. Stoffel, Dr. Trappmann, Mr. Lee Hao (left, Laboratory of silviculture and nature conservation, University of Tsukuba), and me (right) are in this picture. Thank you for coming this meeting and giving interesting lectures!